Curvy science teacher Becca Stafford has just moved to Gray's Hollow for a new job. Over tea with the mayor's wife, she soon learns the town's biggest secret--it's the home of two dragon shifters, the mayor and his brother Ilie. Becca wants to learn more about the scientific find of the century, but as soon as she meets Ilie, without so much as a true love's kiss, he transforms into a gorgeous (and naked) man. Billionaire dragon shifter Ilie Gray has lived as a dragon since he was a child. His mother always told him that someday he would meet a woman worth turning human for, but he never thought it would happen when he recognized his mate in a single glance. He also never thought that changing into a human might cost him the friendship of his dog Mouse, who no longer recognizes him. Becca seems happy with his human form, but can she love a man who still sometimes wants to be a beast? 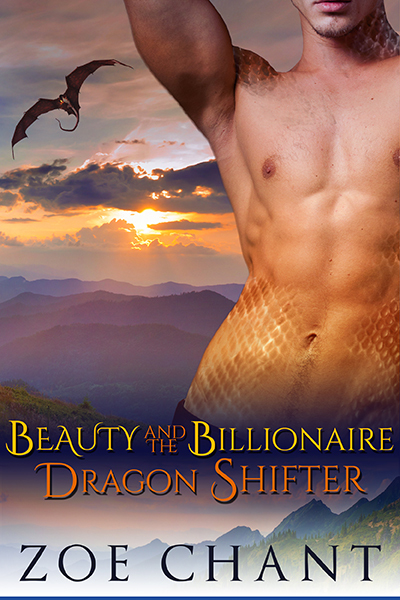 Beauty and the Billionaire Dragon Shifter is a standalone dragon shifter romance. No cliffhangers! Ilie’s mother had told him, not long after he took to his dragon shape for good, that someday he would meet someone who made him want to be human-shaped. He’d believed her, in an abstract way. He couldn’t picture it, but he knew that that was how life worked. Somewhere ahead of him in adulthood was a mate. More than likely his mate would be human, so he would want to wear his human shape with her. He just hadn’t thought it would be quite so sudden.